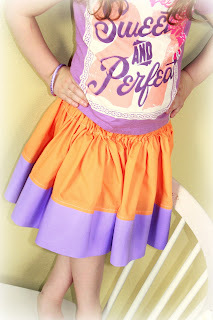 Color block skirts are back and oh so modern! 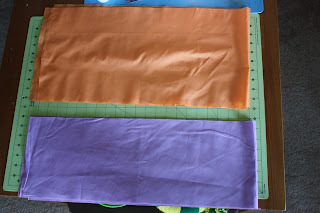 I have seen a couple of tut's on how to make one but I didn't want to get down with the fussy time consuming waste bands, love the results of the more time consuming ones, but a lot of people aren't brave enough to attack all that (ruffling especially, which is one of my favorite things!). So this is my Easy, Cheap and Fast version which is just the way I like it ;) Enjoy! 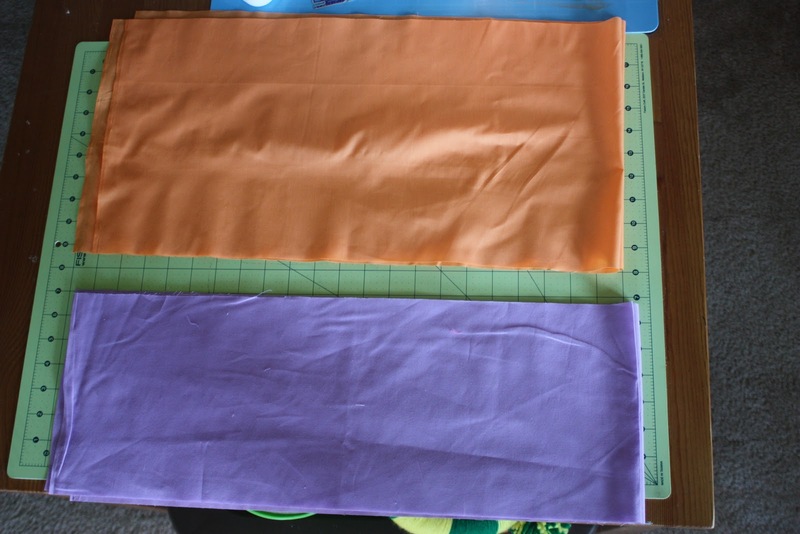 Supplies: 2/3 yard Solid Fabric for skirt body(pictured in peach), 1/2 yard contrasting fabric for hem(pictured in lavender), 1 1/2 inch wide elastic(gives it a more waste band feel, helping it lay flatter), thread, safety pin,pins, sewing machine, rotary mat and ruler. Cost break down 2/3 yd. fabric 1.97, 1/2yd. fabric 1.50, 1 1/2" elastic 1.37@ Wal-mart. 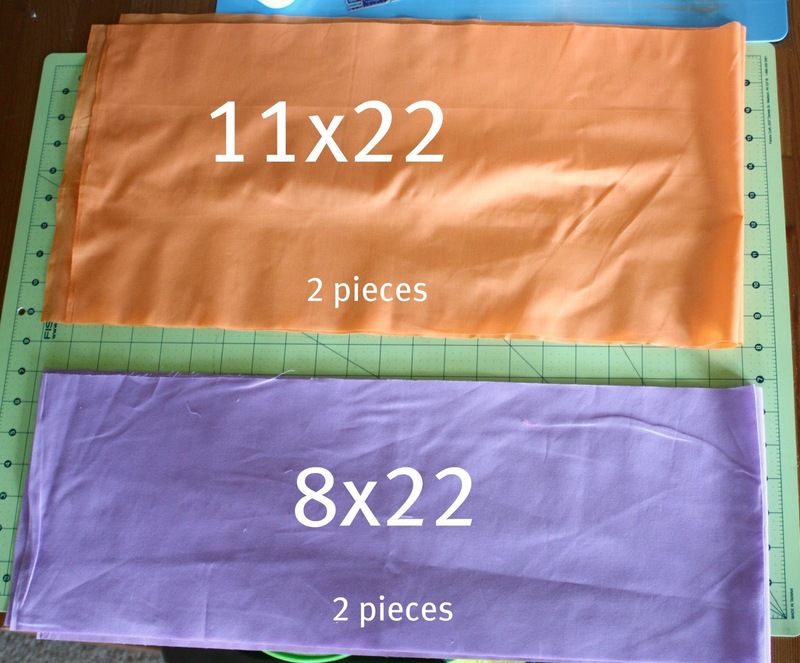 1: Cut Fabric according to above sizing with a rotary cutter, ruler and self healing mat - strip cutting works best with a rotary. 3: Pin hem to skirt right sides together(either side of the hem is technically the right side) make sure your matching up raw edges when pinning, and lining up seems. 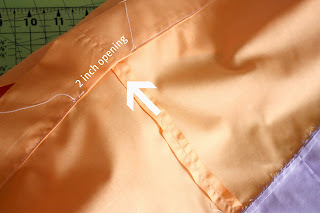 Pin every couple of inches to keep the layers of fabric from shifting while you sew. 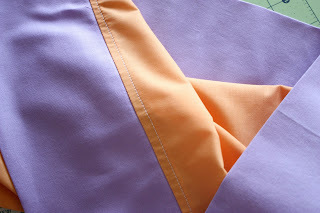 Flip hem down press raw edge up towards waist and top stitch. 4: Fold top down about a 1/4" while pressing with an iron, fold down another 1 3/4"' press with iron. Stitch closed about an 1/8 inch from edge leaving a 2 inch opening for the elastic. 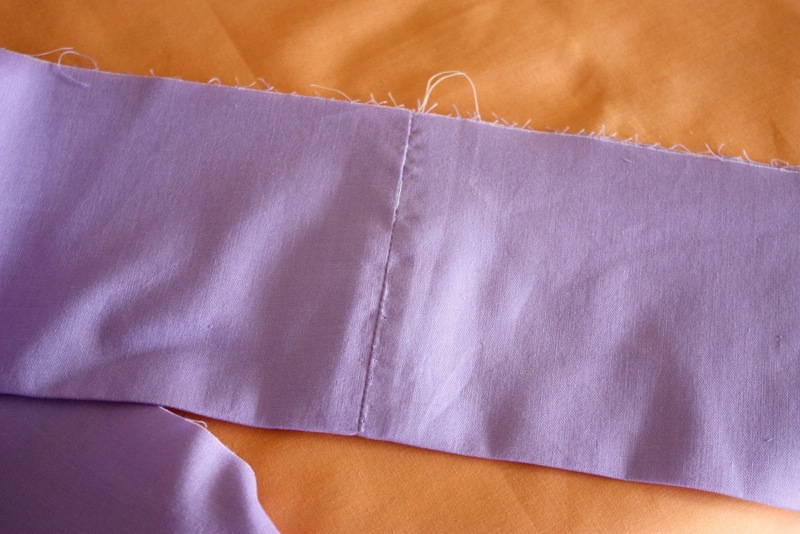 5: Feed elastic through the opening with a large safety pin(I like to use a straight pin to hold the other end of my elastic to the fabric so I don't lose it while I am pulling the other end through) sew elastic together with a zig-zag stitch reversing to secure at the beginning and end, even out fabric around the elastic and sew opening closed!!!!!! 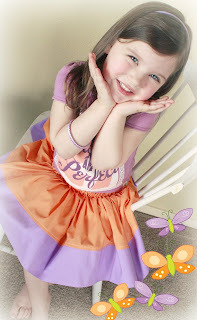 Your DONE 5 Bucks and 5 steps to a great MOD skirt! I think she lurv's it!